As the leading lady in François Truffaut’s film classic “Day for Night” (1973), Jacqueline Bisset portrayed the star of a film being made in the Victorine studios in Nice, with Truffaut as its director. A heartwarming tribute to the entire process of filmmaking with wonderful performances, the film won an Academy Award as Best Foreign Film. 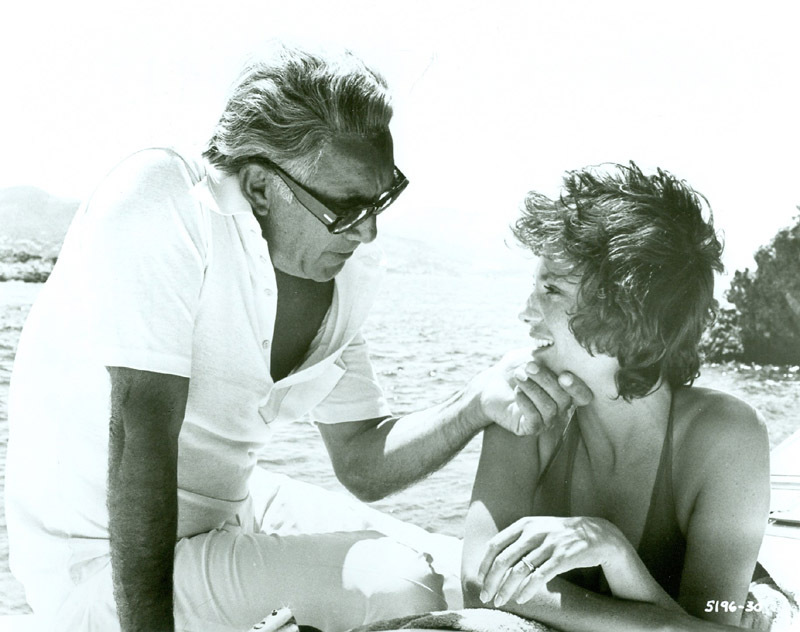 Throughout her entire career, she appeared in a wide variety of movies, including George Cukor’s “Rich and Famous” (1981) and “Under the Volcano” (1984), directed by John Huston. Still very much in demand, Miss Bisset, former César nominee and this year’s Golden Globe winner, was born in 1944 in Weybridge, England, as Winnifred Jacqueline Fraser-Bisset. The former model started acting in the mid-1960s, became an international star and still is a renowed actress. I met Miss Bisset, courteous and dignified, in Los Angeles in 2007 to talk about her craft and her career in movies and television. When you first came to Los Angeles to appear in American films, what could they offer you since the old studio system was over? There used to be a support system in the studio days, but not anymore when I started. I came out here after having done a few films like “Cul-de-Sac” , “Two for the Road”  and “Casino Royale” . I got a contract based on those roles. They wanted to sign me for a contract for seven years, but I turned it down. I didn’t know anything about it, but I had overheard someone once saying, ‘Never sign a contract for seven years.’ When I had refused that offer, some people told me, ‘Are you mad?’ But I said, ‘No, I don’t want anyone to own me.’ I just want to be a free person. Then they came back and signed me up for a ten picture deal over a seven year period, meaning I could work for other people as well. Actually it worked out fine, they never pushed me for doing anything. You were always considered to be a glamorous leading lady, from the very beginning. Did that affect your choice of roles through the years? 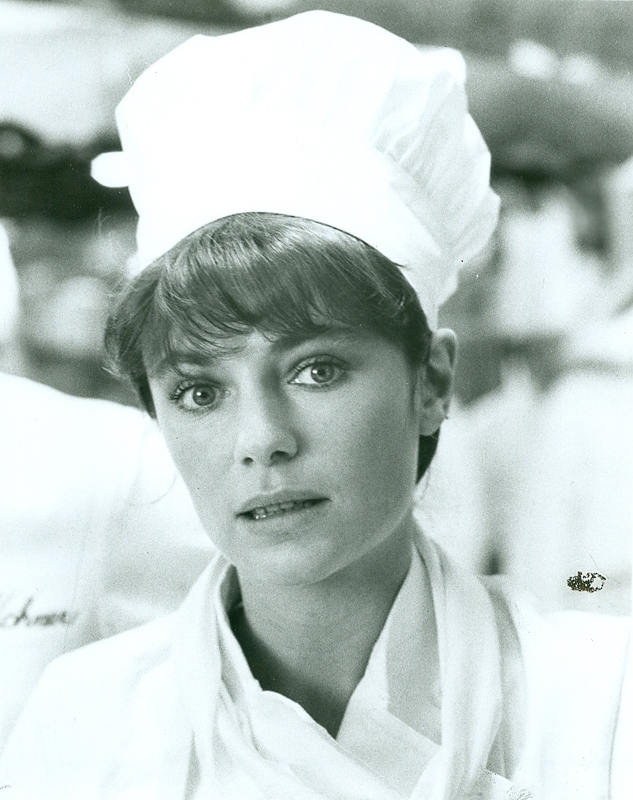 Jacqueline Bisset in “Who’s Killing the Great Chefs of Europe?” (1978), directed by Ted Kotcheff. Picture: Warner Bros. I have tried to play against those glamorous types of roles as much as possible and maybe that has been a mistake, I think. I didn’t know what I looked like, it took me many years to know what I looked like and when I look back, I know I was supposedly glamorous or whatever would be considered a certain kind of glamour, but I didn’t feel like it. I was only interested in the work and interested in a chance to explore something new. And I am still looking. I haven’t found the ideal part yet, but I found bits of it. I found an amusing character in a television thing called ‘Nip Tuck’  which I was doing last year – a very awful person, not a big part, it was a part of an ensemble piece and I was in six episodes of it. People just loved me in it and I played a very evil and immoral person. It’s been interesting, it was playful and there was some justifiable element towards the end. I had never done this kind of format, so you have no idea what you’re playing. You get it two days before, you read it and suddenly your character goes in a different direction. But it was fun. There is a whole other area of behaviour which is interesting. It is necessary to find characters with flaws, you need flawed characters if you want anything to do, otherwise it becomes tedious. Getting cast is another matter. Unfortunately the way you look is very much considered to be a part of being an actress, unless you take completely different roles, like in “The Sleepy Time Gal” , it wasn’t important to look good. There was no glamour at all involved. I think Hollywood has become much more glamour-oriented since I came over here. In the sixties it was hippy-time. I looked natural, I looked the way I looked when I got here. François Truffaut’s “La nuit américaine” [1973, US title “Day for Night”] stands out in your work and was a highlight for everyone involved in that picture. What attracted you to his approach of filmmaking? The love of the cinema is clearly one of the subjects in “Day for Night” and Truffaut showed it in all of his films: the love of women, the love of children. It represented of what happened in life. I was attracted to his world, I think, a world in which women figure importantly usually. They are important is his stories and as a woman you feel that. Children are also important, so you feel the sensitivity. His dialogues are so marvellous, so fresh, so personal, cynical at times, all kinds of points of view, even if you look at “Jules & Jim”  today, you can still recognize all of that. When I was a child I didn’t have lots of media, so when I saw one of his films I let it sit in my mind, it filled a large space with things I didn’t know about. I don’t know picking on any film nowadays when there’s so much media – it just bombards you, whether you can pick up things in the same way. I just saw a film at this year’s Academy that particularly stuck with me, “The Life of Others” , a German film [originally titled “Das Leben der Anderen”]. I have seen it three times which is very unusual for me. I was just in love with a certain kind of film that took place in villages, small stories about people, they were not particularly glamorous films, films that were made in black in white that came out when I was in the last part of my schooldays. “Day for Night” (1973): French filmmaker François Truffaut with Jacqueline Bisset. Picture: Warner Bros.
Is Truffaut still a ‘name’ over here in the US? Truffaut was well appreciated in America when he was still alive [he passed away in 1984 at age 52]. Things have moved forward so fast, I was stunned when I did an interview about two years ago with a young journalist who didn’t know who Truffaut was. I was stunned. I think a certain generation knows, and those who have never seen his films don’t. Americans are not particularly backward looking in time – although they are under the siege of all this media – unless they’re really passionate about something specific that they’ve seen. And then they follow it up, in which case they’d know. But anybody of my generation would appreciate him. Truffaut was a master, an inspiration to many people and the film I was in, was a favourite of many people in the film business, but in a few years that will not be true because they will all have died. I am not well-educated in American cinema. I came here without knowing anything about anything because I didn’t have television, and my parents wouldn’t allow me to go the cinema until I was well into my teens. I’m still discovering all kinds of people that I should know. So I understand, but it still seems shocking to me that people don’t know all kinds of people – I feel they’re missing something. When you made “Rich and Famous” , working with veteran filmmaker George Cukor was then an entirely different experience, I suppose? Robert Mulligan was directing the film and pulled out during the strike, so the head of MGM suggested George Cukor to replace him. I had seen him a couple of times socially and I didn’t have any bad feeling, except he did because he made such a big thing about it. I was extremely well brought up, but I wasn’t rude. So there was a degree of fear there, but directors could be authoritarian characters. They were not particularly fun times, but the material was wonderful. George Cukor loved the material of “Rich and Famous” – at the time I didn’t know it was a remake [of Vincent Shermans “Old Acquaintance”, 1944, starring Bette Davis and Miriam Hopkins]. Luckily I didn’t because I would have been intimidated. You want to work with the great people and there are a whole bunch of directors I wanted to work with, who actually wanted to work with me as I found out years later. I was so stunned at the time, I wish I had known. I almost missed “Day for Night” because they couldn’t find me. They found me dancing in Paris in a night club. Somebody had found out where I was staying and contacted me. Because my agent didn’t tell me, they didn’t even inquire about me. I had never stayed at that hotel, it was a complete mystery how they had found where I was. Actually they tried to contact me a year before, but no one told me. A filmmaker like Truffaut, that you’re on the same level with, that does make a difference? If you have the luck to find filmmakers who understand what you have to give, you are very lucky and then you can make something special. It’s like couples: people bring out the best in each other. Some people don’t see it and they don’t get shown in the best light. So it’s a combination of the writing and the director and the love. It’s all about love, I think. That’s what Truffaut was showing so clearly in “Day for Night”, the love for the cinema: the emotions, patience and fairness are very important to a filmmaker, to give each character the chance to do what they need to do. I tended to not like the star vehicle type pieces, a part of me feels it’s not realistic to life. Of course, as an actor you want your time in a scene, you want to be represented, but I tend to like a part in ensemble pieces, those things are written fair, you get to travel in the person’s mind. Have you ever considered of directing? I used to think about directing myself, but what I realize is at this point, a side of me is very good at giving instructions, but the other part of me detests is because it might bring out some very strange qualities in me, I could become very domineering. I actually believe you have to let things happen. I think it is a very funny mixture. When I worked with [French filmmaker] Claude Chabrol [“La cérémonie”, 1995], there was no rehearsal in the sense there was ‘no playing as you wanted to play it’. He would say, ‘You stand here, you go there, you lift this.’ It was fairly mechanical compared to what I have been used to. There was no question of let’s read this through, the actors will bring what they will bring and then we will shoot it, whereas John Huston basically lets the actors do whatever they want. He listens and watches what they’re doing. So the actors show him the positions and then he’d say, ‘I’ll put my camera here’. At times he wasn’t even there when we were figuring it out. He just went off and then he came back. It was as if he didn’t even bother to shoot certain things that maybe other directors would have shot in terms of covering other actors who were involved in the scene – which I found a little unfair. I didn’t particularly feel good for the other people. I felt awkward that they were not getting their shot equivalent. But he obviously had it all in his head. He must have been flexible in some way, but he didn’t want to discuss anything really. All directors are totalitarian people, I must say. Cukor, Polanski, Comencini, less Truffaut – but in his own way he was quite precise – they were all older directors and they were tough and totalitaire. It was always very intimidating. All those directors I worked with at different stages in my career. Polanski was there at the beginning, a complete terror I was in. Truffaut was the beginning of a dream opening, John Huston – I was very flattered to be asked to work for him, even though it was a small part – but it was an American accent and I was terrified of that and it was always terror everywhere. In “Under the Volcano” , the part I played was a peculiar; I realized when I read it. If I became too concrete, this would disturb the hallucinatory quality that was in the book when Yvonne [Miss Bisset’s character] appears in the mind of a drunken man. She was sort of hallucination in a way, yet she was very real. With her arrival, she couldn’t be too present, it had to be something like, ‘Am I seeing her?’ She’s here, she’s back and life is going to renew itself. We’ll find love again, we’ll forgive each other. That was the quality, difficult to define. It was a difficult part. Her part wasn’t the same in the book as it was in the film. How about casting? Is it still easy to find the parts you’d like to play? In order to get good parts, you need to get your visibility up to a certain amount. But then, when you get the visibility, you get a lot of the other side too. So surviving as a human being is work. I am amazed that I am as healthy as I am at this point. I mean, I have been here a long time, so I am very happy that I am still a very healthy human being. Career wise, I don’t know if I am in such good shape: I get asked to do things and a lot of them I don’t want to do, because I feel I have done them before. I am trying to find pieces to surprise the audience. I keep finding things, but they’re usually not in big projects. People sometimes say, ‘Oh, I didn’t know you could do that’ or ‘Oh my God, you were so different in that!’ I think it is working now, on a small level. I have been sort of a bit wishy-washy recently on the work I expect, you need to feel like you have grown so you have yourself to give. It does take energy and digging, uplifting the skin and getting underneath. It is much easier for me to reach stuff now, compared to years ago. My emotions are very near the top of my skin. I don’t have to dig or anything, I get there very quickly, because I have lot to pull from. But one doesn’t want to put that stuff in the wrong place, because then you’d feel like throwing your baby out of the window. Like when you’re doing a very good interview, an in-depth interview with someone, and then he says, ‘Oh, you starred in “The Deep” and there was this wet T shirt thing.’ It’s very annoying and a waste of time – then you feel you really wasted your time. What is crucial to you in acting, in playing a character? If you want to bring something good to the screen, you have to find the good work of somebody else, because that’s the way it goes. But you’ve got bring your experiences, your humanity, new stuff, you’ve got to dig constantly. Once you’ve done it, you have to develop your eye, your soul, your wit, your generosity, your love level, study and you need to go to art exhibitions, truly listen to people so you can disappear within them listening, to be able to lose yourself in being interested in something else so you learn to concentrate. Acting involves so many things, to understand art efficiently, to understand that you are there on that screen, a tiny part of it, or a big part of it, to understand the balance of the total of it, truly be there and on some level to be able to look back and see that it’s not about you, it’s about a story that you are trying to tell. When you’re doing it, it’s about your character, not really about you, you are a sort of channel to the words and it requires a lot of giving. You’ve to give a lot, a lot, a lot, a lot. You also need to be around people who are also rich in spirit and who embrace generosity and feelings. Also you have to have manners too, manners are terribly important. Be polite, learn your lines backward so they’re not even the issue. The words are terribly important of course, but they are not there to be seen necessarily. You can say one thing and you’re thinking another, and they have to be so much part of you that you can actually say more complex things at the same time. People who employ people – it’s an odd thing – people can put together a fairly commercial project, something that is basically done for money and some part of them wants to win an award. They can do a schlocky stuff, but underneath I do believe it’s soul business rather than show business. If they work with actors and actresses that behave well, it makes them feel proud and it makes the experience a lot easier if they’re respectful. After so many years in the film business, you still have a lot to give as an actress and you’re still in the bloom of your life, aren’t you? I am just getting good at what I am doing, I feel I still have a fair amount of energy, so yes, I have a lot to give. I like to do other things too on other levels of life. For example I love to look at other people’s work. But at one point you start losing friends, a lot of friends die – in my life lots of people died – so I don’t want to waste any time. Sometimes I’m a little impatient (laughs), like in traffic, I’m like, ‘Go green! Go Green!’ Don’t get panicky, just calm down, think of something interesting. People sometimes want someone for a film and think, ‘No, we will never get that person.’ Well, try! Try to get the person you want, even though it can be difficult to get past the agents, but you could try. You just never know; I have made a few films with first time directors and those were good experiences, I thought I was participating in something fresh, and giving a little lift to people and bringing some experience to something. It was a good feeling mutually, they appreciated it and I felt it was appreciated. I really liked it. Although, when I accept a role, there’s always a little wall that I have to climb, something I have to get over or learn, or I want to confront some fear. Even “The Deep”  was to overcome to do a movie underwater. I was frightened of water. I really had to take myself out of hand, day by day. It is not my kind of film, but we had a wonderful director, Peter Yates, a lovely man; I had worked with him on “Bullitt” , that was the happy part of it. But by the end, I had faced it, I did it, it was staggering to be 90 feet underwater, surrounded by fish, barracudas, it was very unrealistic to me. At one point, I nearly drowned while filming one of the underwater sequences. I haven’t put my head underwater since. When it was over, I thought, well, acting and diving can be very dangerous, because you’re not concentrating on those two things at once. The film was successful, it gave me some what they call cloud, to be able to go on and do “Rich and Famous”. Only now and then you have appeared in commercially oriented films or blockbusters, such as “Airport” (1970) and “The Deep” (1977). Is that by choice? There’s a whole area of moviemaking which is very commercial and it is done to make money, however I don’t think that the director and the performers feel that way. I feel that most people want to work seriously and they want to make a good film. Then it is taken over by distributors and things become commercial projects, but I generally don’t think that I have ever been in a film when I actually thought, ‘These people are trying to make a moneymaker.’ I don’t feel that with the work I have ever been involved with, even though a few of those films have done quite well. Show business is business, but as I said, to me it’s soul business. I do think that most people have a deep desire to create a nice piece of work. When a director is really in charge and he knows what he’s doing, he puts the camera in the right place to get a good performance, you get the perfect lighting, things like that, and they make sure that your character comes forward – or leaving a space behind a line, giving the audience a chance to absorb something. All those little choices are very important. What would you consider your best work so far? I like very much the scene in “The Greek Tycoon”  when I’m fighting with Anthony Quinn, when I try to kick him and I get really angry. I think it is a great scene. What’s so funny about it, is that he is so strong so I could really go for it. I didn’t worry about hurting him, he was big and strong and the kind of man who could take it. For him I was like a little toy. When the scene was over, I was really shaking for five minutes after, trembling in rage. I couldn’t calm my heart down. There’s a scene in “The Sleepy Time Gal”  when I am lying in bed and I am talking to my son; I wake up, he’s there and I look at him with the same look of someone who is dying, the approach of you’re alive and I’m not. I‘m talking about my ex-husband, his father, and I say to him, ‘I wish I hadn’t brought you up in the suburbs.’ That whole section of the film was really good. In “Rich and Famous” and “Anna Karenina”  are a few very good scenes too. Yet, somehow I feel like I even haven’t scratched the surface – yes, in a few parts like this, yes. People have known you and have recognized you for several decades now. Have you been able to have some privacy in your life? I have a life completely of my own, I can cut the trees in the front, occasionally people come to take a photo of you when you’re outside there, which is horrible, but that’s because I have always been very cautious about it. I’ve had periods in my life when people came to the door, I don’t like that. I feel like I’m on a siege. People have to egg me on to get me to go out to those sort of things that I need to go to, to be seen occasionally. I tend to be with people that I know very well, I have nice friends here, I cook, we sit in the kitchen, at times we have very relaxed nice evenings here, talking, investigating, very real, we also have large dinners here, that would be my favorite way of entertaining rather than big parties that you go to. Sometimes people say, ‘You should do a television series, and it would be great for you.’ And what if it was great? What would happen? I am having the time of my life and it would be over. My privacy would be over. I am not sure I would want that. When you go to a restaurant and people say, ‘I am so sorry to interrupt you,’ and then they interrupt you (laughs), well if you are so sorry, excuse me, I was just talking – you know. What would you advise to young actors who want to make it in this business? I always tell young actors when they’re sitting around, ‘Learn a language. Go to another place and learn another language so you can work in another country.’ For me, learning French was an absolute God’s gift. I didn’t learn French until I was about 28. That opened an enormous amount of things for me. Not that I use it that often. But while you’re waiting around on a film set, use your time. Read the papers. As an actor, a real communicator, you are representing the world, you should know what’s happening. You should get in touch with the feelings of the world, so you don’t drop behind. When you get the chance to play, or do a period picture, you get a chance to represent your time. You can’t just sit there, eat chocolate and dream about something. You have to make it happen for you and if somebody else is not making it happen for you, you have to do it yourself. Bring into your life the elements that are going to enrich your life and that will lead you in a direction you want to go. I am not only talking about films, I am talking about life. And how would you reflect on yourself, today, as a veteran leading lady of the screen? I think it is nice still to be a whole person after all those years: I am not a drug addict or an alcoholic. Not yet anyway (laughs). Posted in Actress, Film Talk and tagged Anna Karenina, Anthony Quinn, Bette Davis, Bullitt, Casino Royale, Claude Chabrol, Cul-de-Sac, Das Leben der Anderen, Day for Night, François Truffaut, George Cukor, Jacqueline Bisset, John Huston, Jules & Jim, La cérémonie, La nuit américaine, Luigi Comencini, MGM, Miriam Hopkins, Old Acquaintance, Peter Yates, Rich and Fanous, Robert Mulligan, The Deep, The Greek Tycoon, The Life of Others, The Sleepy Time Gal, Two for the Road, Under the Volcano, Vincent Sherman. Bookmark the permalink.